How do you use your zero turn mower? Do you use it to cut only your lawn or do you help out friends and family by also mowing their grass? Knowing exactly how you plan to use your zero turn mower is the first step in choosing which zero turn mower to buy. Here are a few ways you can utilize a zero turn mower and which Spartan Mower you should consider. Are you a weekend warrior? A few years ago, it seemed like the only zero turn mowers you saw were those owned by commercial businesses. However, the turf industry has rapidly changed to include great ZTR options for homeowners who want to have the same cutting power. Residential mowers are great for people with small to midsize lawns who are looking to step up their lawn mowing game. Since most homeowners only have time to mow their property maybe once a week, a residential zero turn mower with slightly less horsepower and torque is a good choice. In fact, Spartan Mowers has the PERFECT zero turn mower for homeowners. The Spartan RZ Series performs like a commercial grade zero turn mower but comes with a residential and affordable price tag. 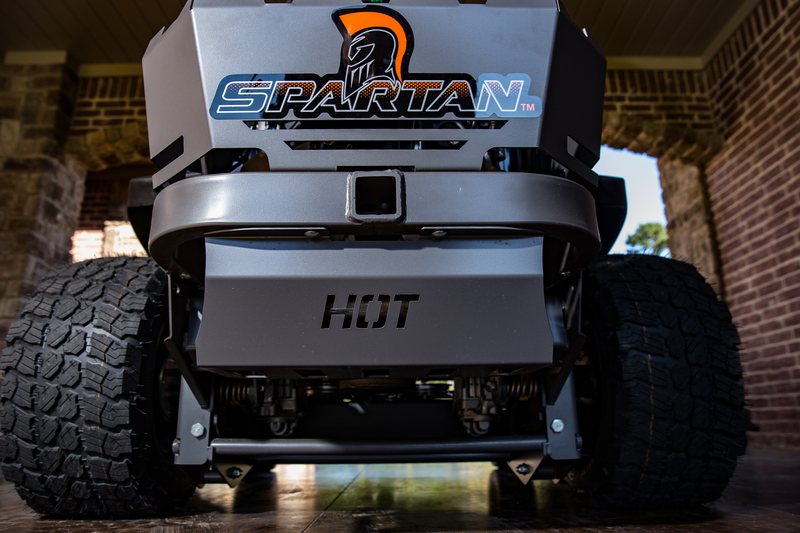 It’s equipped with all the Spartan standard features that make our mowers stand out like GT Trac for the best incline traction and the foot assist easy-lift deck. Sometimes you need a little more! Semi-commercial or mid-level zero turn mowers are ideal for people with large amounts of land or those who operate a smaller lawn care business on the side. Any of Spartan’s high-quality zero-turn mowers would offer the comfort, durability, and customization needed for this type of mower. 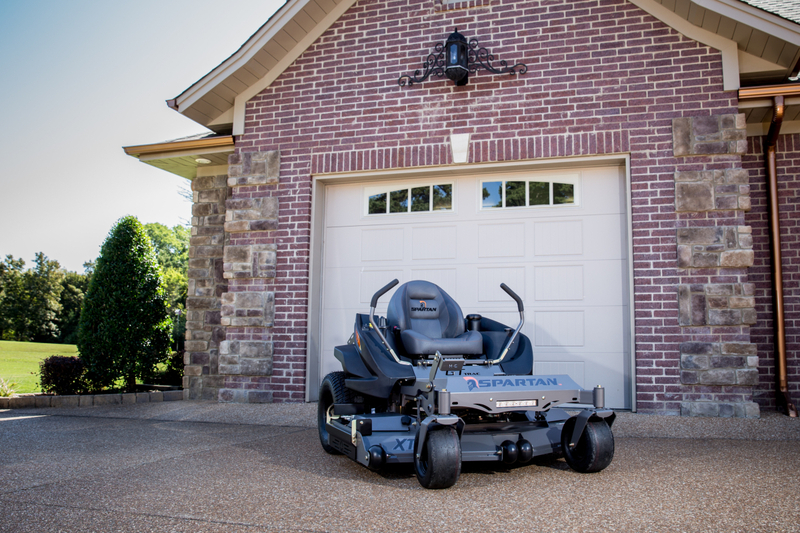 However, the Spartan RT PRO and SRT PRO mowers provide many great upgrades in comparison to the Spartan RZ series, including more torque, a variety of engine options, and other top performing features. Those who make their living by providing the best lawn care service around need a QUALITY commercial mower and top-of-the-line equipment that can be relied on season after season. Spartan is proud to offer commercial grade mowers at an affordable price, and any of our commercial grade mowing machines could help improve the performance of your business. For those looking to get the most out of their investment, you may consider the Spartan RT HD, the Spartan SRT HD and XD, or the Spartan Heavy Duty CAT Diesel mower. These options include some of our largest engines, maximum horsepower, and our highest level of torque capabilities. Still not sure which mower to need...or want? 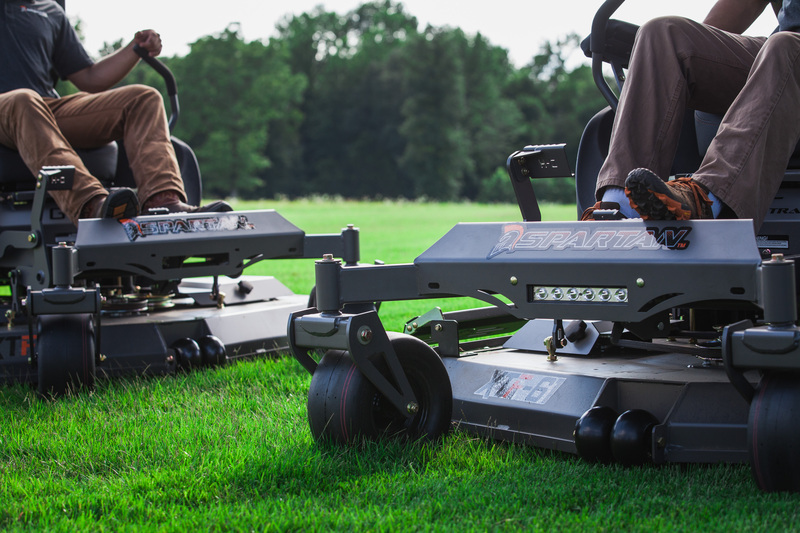 Check out our COMPARE MOWERS page. It allows you to compare up to three Spartan Mowers side by side. Determining the application of your mower and choosing the engine, fuel capacity, and deck size all help to provide a strong foundation for building your Spartan zero-turn mower. But, part of creating a machine that fits your individual lawn care needs comes from focusing on the details. The addition of several different accessories can help you to maximize your investment. For example, those with an uneven or rocky yard should consider a rear stabilizing kit to improve rider comfort. Commercial mowers should consider upgrading their tires to reduce tracks and lower long-term cost with fewer replacements. Mowers living/working near busy highways or in highly populated areas may want to include a Manual Spartan Shield to reduce potential damage or liability. Other accessories focus on individual comfort. This might include the attachment of a shade-creating canopy, enhanced seat suspension for an even smoother ride, or LED lights for better visibility. Once finished, you can send it straight to a Spartan Mower Dealer near you to get a custom quote. You can also print out your custom mower when you visit a Spartan Dealer. Use our DEALER LOCATOR to find a dealer near you. Our dealers are knowledgeable and can help you narrow down your options or give you feedback on the mower you have created. You can also experience the Spartan difference first hand when you sit in a Spartan Mower for the first time.